I was delighted to read a review copy of Skye Gyngell’s latest book How I Cook: An Inspiring Collection of Recipes, Revealing the Secrets of Skye's Home Cooking . As soon as I began reading it, I remembered all the details of her style that I became familiar with in her book My Favorite Ingredients from 2010. The recipes have a relaxed and easy-going feel to them, but quality of seasonal ingredients as a route to their success is always highlighted. She has a way of describing each dish that coaxes me into making plans to make it. For instance, I now can’t let another week go by without mixing oats with lemon and orange zest and orange juice so I can add some yogurt and grated apple to a serving in the morning for Bircher Muesli. I’ve seen several versions of muesli recipes in the past, but somehow this was the first time I’ve decided I really do need to make it. Also, and this helps to explain why I like reading cookbooks like novels, there’s more to the recipes than what appears in their titles. That muesli recipe gives you a way to have muesli for breakfast every day for a week with fresh fruit and yogurt added as it’s served. Then, the Scrambled Eggs with Spinach and Slow-Roasted Tomatoes is actually a special take on scrambled eggs. Grated, cold butter is added incrementally while the eggs are slowly scrambled over low heat. The book is organized by type of meal with full menus for different seasons and times of day. An example from the Alfresco Eating chapter is: A basket of little vegetables with aioli, Poached langostines with green goddess dressing, Salad of Jersey Royal potatoes with herbs and creme fraiche, Swiss chard with Parmesan, Roasted caramelized peaches, and Shortbread. I’d love to plop on a blanket outside on a nice day with that complete menu within reach. There’s also a chapter for Afternoon Tea, and I wanted to make everything in it including Strawberry Sponge Cake and Lemon and Poppy Seed Cake. 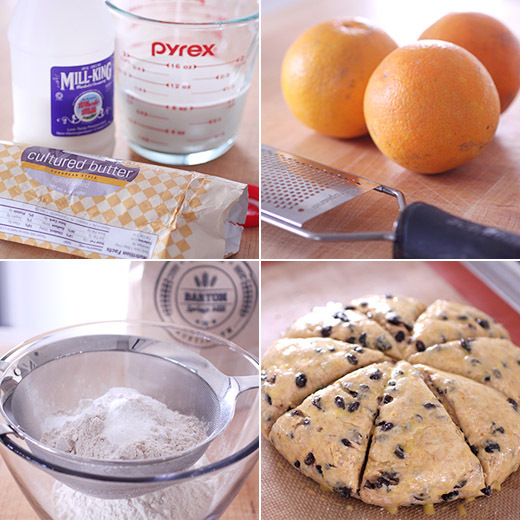 So far, I’ve only gotten as far as the Orange and Currant Scones, and again there’s a twist to how this is made. The dough is formed into one disk that is scored before baking. 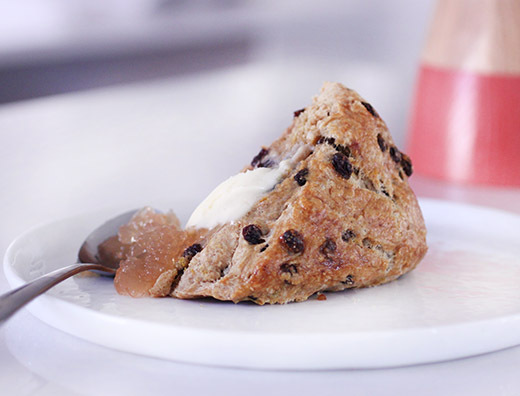 It becomes a pull-apart scone experience of sorts, and the center remains deliciously tender. I had seen this way of making scones in Joanne Chang Myers’ Flour cookbook and couldn’t wait to try this version. The process is the same that's used for all scones, and I do love making scones. Flour, baking soda, a little sugar, and salt were combined, and I used a mix of all-purpose flour and local whole wheat with cultured butter. I always work the butter in by hand so I can feel how much it is breaking down in size and how well it is being incorporated into the flour. Orange zest and currants were added next and mixed by hand into the flour mixture. A well was made in the flour, and egg and milk were added and mixed into the dough. 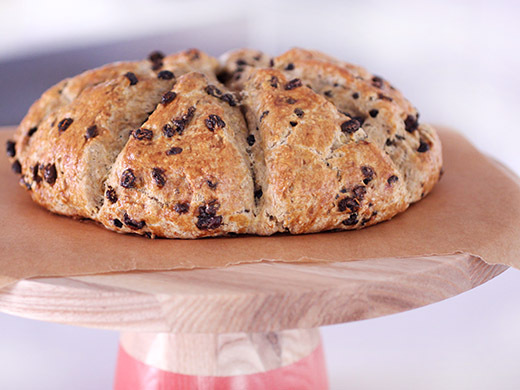 Last, the dough was turned out onto a floured surface and kneaded just to bring any stray currants or crumbs together before forming a thick disk. The round of dough was placed on a lined baking sheet and scored into triangles almost all the way through the dough. The dough was brushed with an egg wash before baking until golden. The scones were served with more of the cultured butter used to make them and some local grapefruit jelly. I’ve made a lot of scones over the years and have too many favorites to count, but these just became my newest favorite. The golden, crunchy tops give way to a lovely, yielding middle. I liked that the sweetness came mostly from the currants, and that made the butter and jelly especially good on top. Now, I’m off to make that muesli and mark more pages in the book. As a fan of Joanne Chang’s cookbooks for years, I was excited to hear about her latest book, Myers+Chang at Home: Recipes from the Beloved Boston Eatery of which I received a review copy. This is from her Boston restaurant co-owned with her husband Christopher Myers. The book includes dishes from the restaurant menu as well as a few favorites from pre-service, family meals. Christopher Myers describes the type of food by saying “We take various Asian styles as our starting-off point, and we apply our own whatchamacallit to it.” There are Sichuan flavors next to Japanese influences along with some Thai, Vietnamese, Korean, and Indonesian elements. And, some of those flavors find their way into very American creations. There’s a Bulgogi BBQ Sloppy “Jo,” Indonesian Fried Chicken and Ginger-Sesame Waffles, and Korean Braised Short Rib Tacos with Kimchi-Sesame Salsa. The book begins with a good explanation of a list of ingredients and possible substitutions and moves into tips for wok cooking, cooking rice, the velveting process, and shaping dumplings. 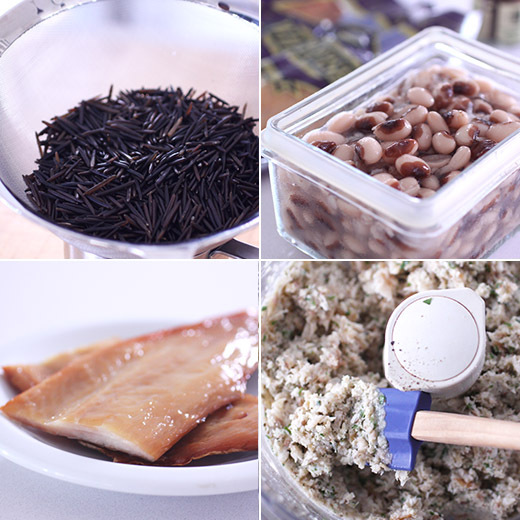 The recipes include everything from Dim Sum and Salads to Dumplings, Noodles, and Rice and Grain dishes. And, of course, Joanne Chang has included some great desserts. I was fascinated to see the Rhubarb Duck Sauce that’s served with Auntie Mia’s Spring Rolls. The sauce is a recreation of the Chinese-American take-out sauce that comes in little packets. This version starts with poaching rhubarb in simple syrup before pureeing it into a vinegary mixture with sriracha and ginger. There’s a note pointing out that they switch out the rhubarb for stone fruits in the summer. I’d love to try this with plums. Some other recipes I look forward to trying are Wild Mushroom Lo Mein, Wok-Charred Udon Noodles with Chicken and Bok Choy, and Vanilla Bean Parfait with Orange Granita. Right away, I made the Sweet-and Sour Brussels Sprouts and now have repeated cravings for them. Then, I got a bit mesmerized by the Dumplings chapter and in a fit of idealism was sure I could make a few different kinds in one day. I ended up only making one filling, but I’ll be visiting other options soon. For some background, I had originally intended to follow the book’s suggestion of using store-bought dumpling wrappers. I even found the exact brand recommended in the book. And, then I read the ingredient list. When asked why I cook so much, I always say it’s because I’m picky. This is a perfect example. Those dumpling wrappers are made with sodium benzoate, and that’s something I’d rather not have in my food. Also, I love making dumplings from scratch with homemade dough. Once again, I followed the dough making and shaping process from Andrea Nguyen’s book Asian Dumplings. I wasn’t disappointed at all to make the wrappers from scratch, but since it did take more time, I scrapped my plan for various types of fillings and focused on one. 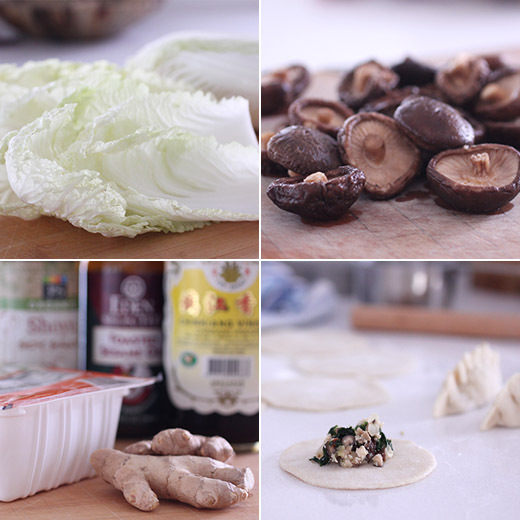 The Shitake Mushroom and Spinach Dumplings with Classic Dumpling Sauce is full of great flavors, and I had local Napa cabbage and spinach to use in them. There are a few steps to making the filling, and it wouldn’t be a terrible idea to make the filling one day and fill the dumplings the next. But, once you’ve filled lots of dumplings, extras can be stored in the freezer for another day. First, boiling water was poured over dried shitakes, and they were left to rehydrate. Next, sliced Napa cabbage was tossed with salt and left for 10 minutes. Oil was heated in a wok or skillet, sliced garlic was added followed by the spinach, and it was cooked until wilted and seasoned with salt, pepper, and red pepper flakes. The cooked spinach was placed in a colander until cool and then squeezed to removed excess liquid. The rehydrated shitakes were stemmed and finely chopped. The Napa cabbage was squeezed to remove excess liquid and then more finely chopped. Firm tofu was drained and crumbled and ginger was minced. In a large bowl, the shitakes, cabbage, spinach, tofu, were combined with the ginger, soy sauce, sesame oil, Chinkiang vinegar, salt, and pepper. The filling mixture went into about 40 dumplings, and I have a great time making the little pleats to close each one. I really do love it. The dough for the wrappers was made with all-purpose flour and boiling water and was left to sit for 30 minutes or so before dividing and shaping. The dumplings were cooked potsticker-style by frying the bottoms before adding a bit of water while quickly covering the pan to finish cooking by steaming. The dipping sauce was a simple mix of soy sauce, minced ginger, Chinkiang black vinegar, sriracha, and sesame oil. It was interesting to see that most of the dumplings in the book are cooked as potstickers. I still intend to try the Edamame Wasabi and Mustard Green Dumplings with Black Vinegar-Wasabi Dipping Sauce, the Lemony Shrimp Dumplings with Kimchi-Yogurt Dipping Sauce, and the Juicy Duck and Ginger Dumplings. But, I was very happy with the one version I did complete. I love biting off the very end of the crisp-chewy wrapper and spooning in a bit of dumpling sauce over the shitake, Napa cabbage, and spinach filling. They’re as fun to eat as they are to make. Recipes are excerpted from Myers+Chang at Home: Recipes from the Beloved Boston Eatery © 2017 by Joanne Chang with Karen Akunowicz. Reproduced by permission of Houghton Mifflin Harcourt. All rights reserved. Being a dumpling on the menu at Myers+Chang sitting next to Mama Chang’s Pork and Chive Dumplings is like sitting next to Charlize Theron on your fat day. 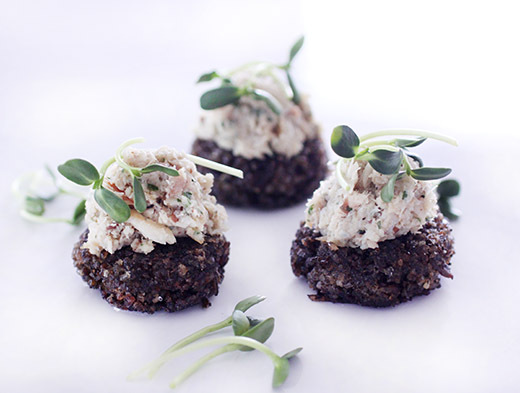 In other words, when we created this dish, it had to have some jingling! Jingling is something like a Chinese word for “chutzpah.” At least my mom says it is after Christopher described what “chutzpah” meant. Hmmm. Someone might want to Google Translate this. These dumplings are stuffed full of garlicky sautéed spinach and earthy shiitakes with some tofu to bind it all together. They are healthy and full of flavor and they embody jingling. 1. In a medium saucepan, bring about 4 cups water to a boil. Place the shiitake mushrooms in a medium bowl and pour the boiling water over them to cover. Let sit for 10 to 15 minutes to allow the mushrooms to rehydrate. 2. Place the cabbage in a large bowl with 1 teaspoon of the salt. Toss well and set aside for at least 10 minutes. 3. Drain the mushrooms and let cool. When they are cool enough to handle, slice off any woody stems and mince the mushrooms very fine. 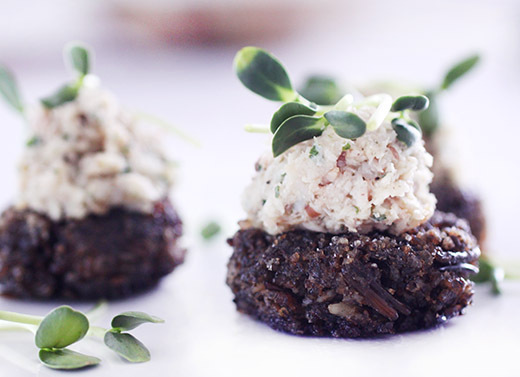 You can do this by hand or pulse them in a food processor if you have one. Set aside. 4. In a wok or a large, heavy, flat- bottomed skillet, heat 2 tablespoons of the vegetable oil over high heat until it shimmers, about 1 minute. Add the garlic, give it a quick stir, and then add the spinach. Stir immediately and season with ¼ teaspoon of the salt, 1/4 teaspoon of the black pepper, and the red pepper flakes. Cook, stirring, until the leaves are wilted, about 1 minute, and remove them from the pan. Place in a colander, let cool slightly, and squeeze any excess liquid out with your hands. Coarsely chop the spinach and set aside. 5. Take the cabbage out of the bowl and squeeze hard with your hands. You will be amazed with the amount of water that comes out. Very finely chop the cabbage. 6. In a large bowl, combine the cabbage, mushrooms, spinach, and tofu. Add the soy sauce, ginger, sesame oil, vinegar, remaining 1/4 teaspoon salt, and remaining 1/4 teaspoon black pepper. Mix very well using your hands; it is really important that all the ingredients are distributed evenly. 7. Fill a small bowl with warm water. Lay a dumpling wrapper on a clean work surface and scoop about 1 tablespoon of the filling into the center of the wrapper. Dip your finger in the water and paint all around the edge of the wrapper to moisten. Fold the wrapper over in half to look like a half-moon. (This always reminds me of making a taco shell.) Pinch just the top of the wrapper together, leaving the sides exposed and open. Start pleating the left side of the dumpling: Hold the dumpling on the top, fold a pleat on one side of the wrapper about halfway down the arc toward the center of the dumpling, and press it into the facing side of the wrapper. Repeat the pleating almost to the bottom of the arc so that you have two pleats on the left side of the dumpling. Repeat the pleating process on the right side of the dumpling, again pleating toward the center. When the dumpling is completely pleated, you should be able to sit the dumpling on its bottom and it will look like a little love seat. The smooth side of the dumpling will be the seat, and the pleated side will be the back of the couch. Continue with the rest of the dumpling wrappers and filling until the filling has been used up. The dumplings can be made in advance and stored uncooked for up to 3 weeks in an airtight container in the freezer. 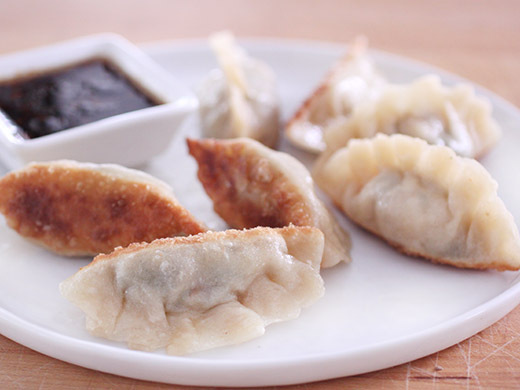 The easiest way to freeze them is to place them on a flat plate or tray and freeze until dumplings are completely frozen, and then transfer to a resealable freezer bag or an airtight container and return them to the freezer. Thaw in the refrigerator on a flat plate overnight or for at least 6 hours before cooking. 8. In a large, heavy, flat-bottomed skillet with a lid or a nonstick skillet with a lid, heat the remaining 2 tablespoons of oil over medium-high heat. When the oil starts to shimmer, carefully lay as many dumplings as will comfortably fit on their bottoms in the skillet and turn the heat down to medium. Cook without moving the pan until the bottoms of the dumplings are golden brown, about 3 minutes. Check by lifting them up with your fingers and peeking underneath. Add about 2 tablespoons water to the pan and immediately cover with the lid. The pan will sizzle and steam up immediately, so don't be startled. Shake the pan from time to time to keep the dumplings from sticking. Let the dumplings steam for 2 minutes, at which point most of the water will have evaporated. Add another 2 tablespoons water to the pan, cover, and steam again. Turn off the heat, keep covered, and let rest for 1 minute. Uncover and turn the heat back to medium-high to crisp up the dumplings. Remove from the pan. Continue in the same manner to cook the remaining dumplings, adding 1 tablespoon of vegetable oil to the pan at a time as needed. 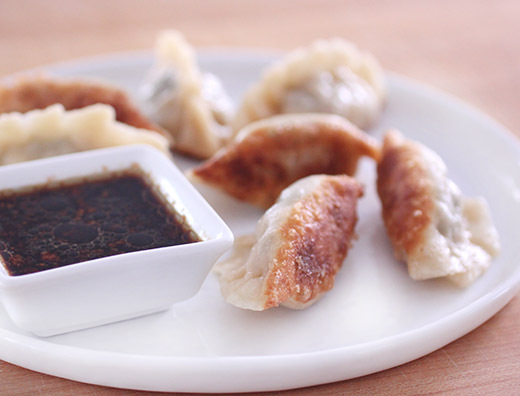 Serve crispy-side up with the Classic Dumpling Sauce. This classic dumpling sauce can be paired with any of the dumplings in this book. You can also add more or less sriracha or substitute wasabi for a different kind of kick. 1. In a small bowl, stir together all the ingredients. Store in an airtight container in the refrigerator for up to 1 month.